This hammer drill belongs to so-called 'Perform & Protect' product line comprising the highly safe construction tools only. The reverse button is placed quite inconveniently and can be pushed by accident. 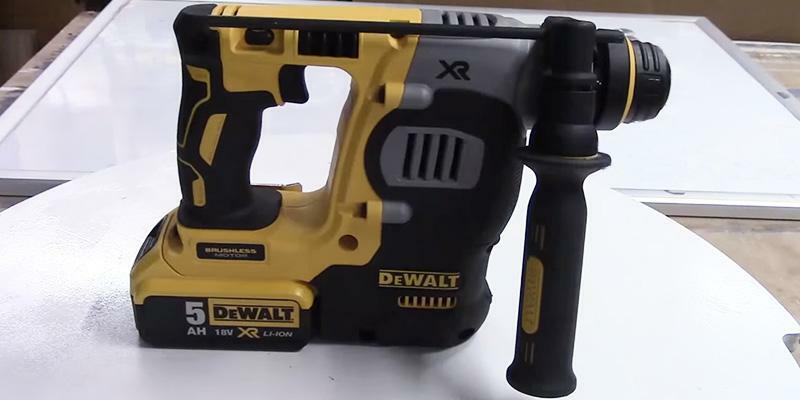 This DeWalt hammer drill will be a great solution for inexperienced users because of functionality and intuitive controls. 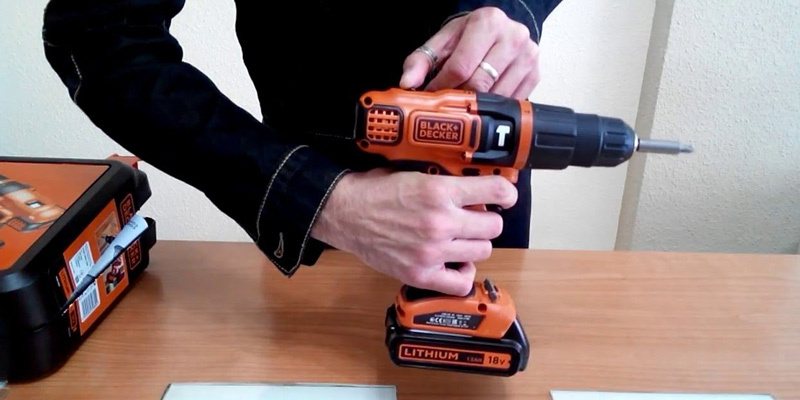 The clutch of this Black & Decker hammer drill has 11 torque settings for driving screws with the highest accuracy. The bits aren't always clutched very well in the chuck. 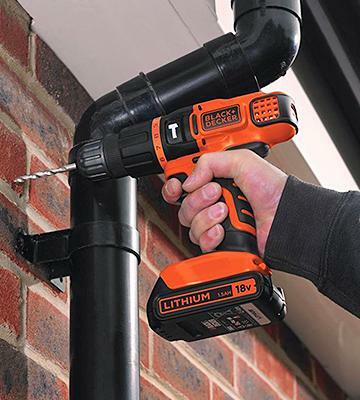 The Black & Decker battery powered hammer drill is a great tool for household construction works. This appliance will certainly come in handy! 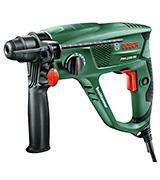 The tool boasts a powerful hammer pneumatic mechanism that works really well and drills through hard materials. No bits supplied in a kit. 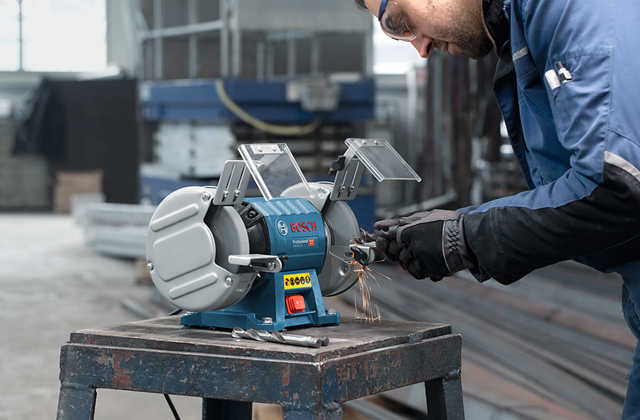 The Bosch PBH 2100 is a high-performance tool that can be used not only for home use but for commercial purposes as well. The Makita hammer drill provides 40 various bit angle settings for the most precise drilling and hammering. The lock button is rather sensitive. This is an excellent hammer drill for professional use. The tool is known for its exceptional reliability and performance. The device boasts a 13-millimetre keyed chuck that helps in preventing powerful vibrations leading to potential drilling errors, as well as having too much pressure put on your wrists and arms. Short bursts of power during speed changes and a lock that sometimes doesn’t prevent the drill from spinning. With the whopping beat frequency of up to 48 thousand beats per minute and a rotation speed of up to 3000 rpm, this is one of the most powerful hammer drills on the market and thus its performance characteristics can satisfy even the pickiest of customers. When people hear the name 'DeWALT', the first thing they certainly think of is the superior quality of a product manufactured by this company. The DCH253N-XJ hammer drill is a construction tool worth being proud of. 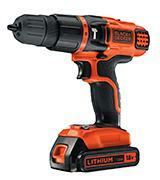 It's a great portable rotary hammer powered by a Lithium-ion battery. It means you can freely move all over the construction site without a need of any messy cables. The advantages of a battery-powered hammer drill are quite obvious yet we would like to highlight some of the most important - it saves your time! Also, the tool is L-shaped so you can always access the internal components of the tool. The DCH253N-XJ belongs to the Perform & Project product line that includes only the appliances conforming to the highest safety standards. This model boasts an incredibly low level of vibrations (which might cause some work-related illnesses). The pneumatic mechanism and motor are fixed to the casing by means of supported special springs that absorb vibrations. Moreover, the hammer drill has a LED light so you can make precise drilling even in fairly dimly lit places. Of course, the performance of the tool is superb as you can quickly switch between the operating modes or use the reverse. By the way, the trigger is blocked when the reverse switch is in the 'mid' position. This feature minimizes accidental turning on. DeWALT is one of the most dynamically developing companies in its class and that's why the products manufactured by DeWALT are really popular all around the globe. However, the reputation of the company is totally merited and grounded. Starting from the very day of foundation and till today, the company has never ceased to introduce new products and upgrade the existing ones. 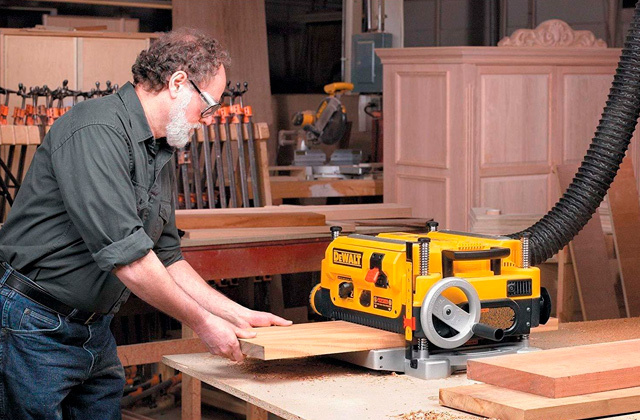 DeWALT was the first company to invent a radial arm saw in 1922 and it's still considered to be a benchmark for such tools. 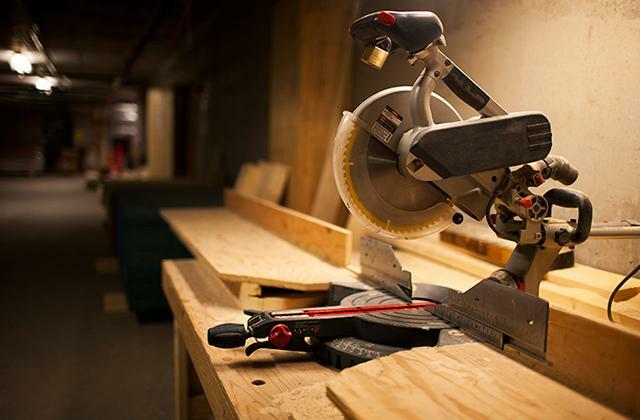 It was the beginning of the rapid and successful growth of the DeWALT company. In 1960, DeWALT got a patent for wood sawing machines and 11 years later it started producing compact metal-cutting machines capable of cutting ferrous and non-ferrous metals. In the 1990s, the company started producing a number of new products: screwdrivers, slitting tools, milling cutters, and so on. 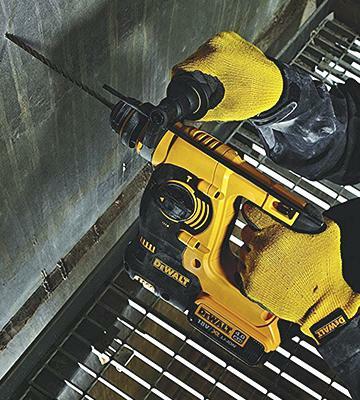 DeWALT was one of the companies that launched the production of battery-powered tools. In the late 1990s, the manufacturer developed two types of batteries: 18V and 24V. 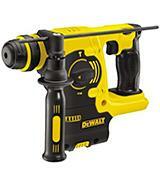 In 2002, DeWALT brought some new tools to the market - framing nailers, lasers, and jackhammers. 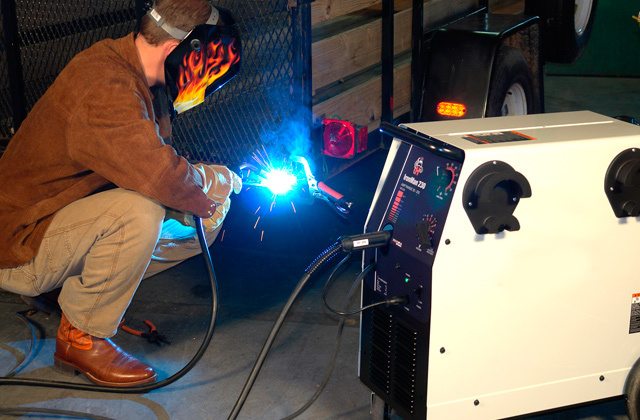 Today, the company's battery-powered tools are as performing as their mains-powered analogues. 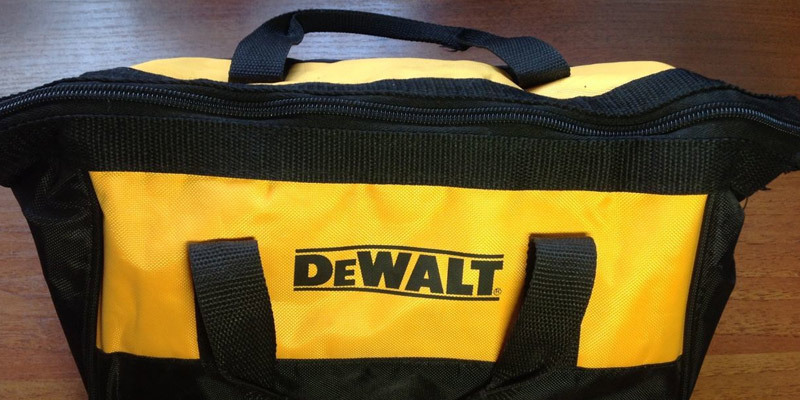 If you need to work at different construction sites, think of getting this handy DeWALT tool bag. 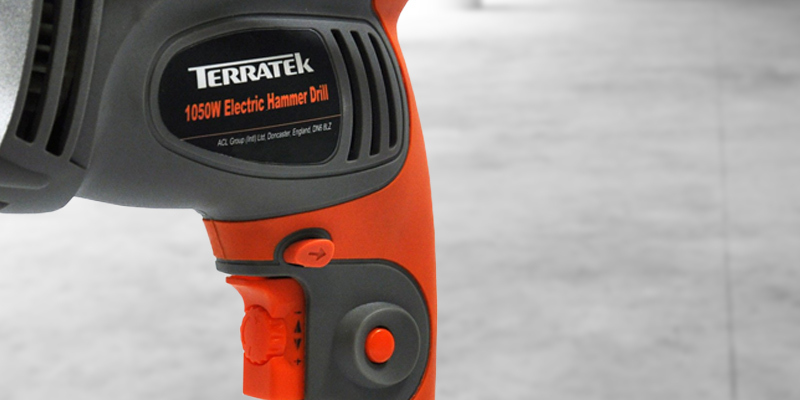 This Black & Decker hammer drill is a great decision for people who need a tool for home use. It has all the necessary functions a rotary hammer is expected to have. First of all, this Black & Decker model has two speed modes (low and high) and you can choose the one you need with the help of a switch on top of the tool. Also, this hammer drill has an 11-position clutch for controlling the torque and driving screws into various materials. 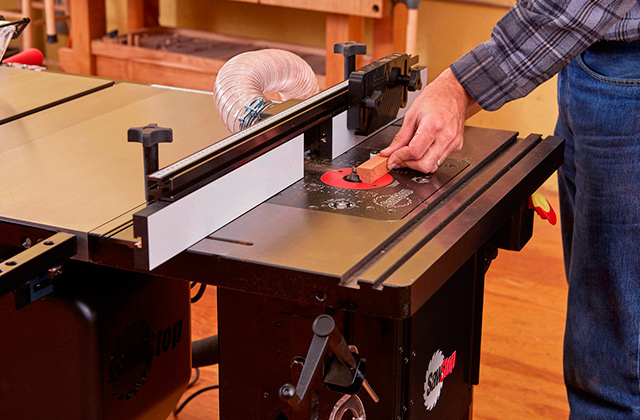 It allows doing it with the utmost precision and, of course, prevents damaging the material itself (which is important if you need to drill wood accurately without chopped off bits and edges, for example). 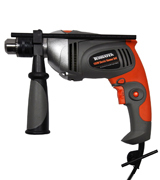 Certainly, the drill has a reverse function and you can remove screws from walls and materials without any problems. 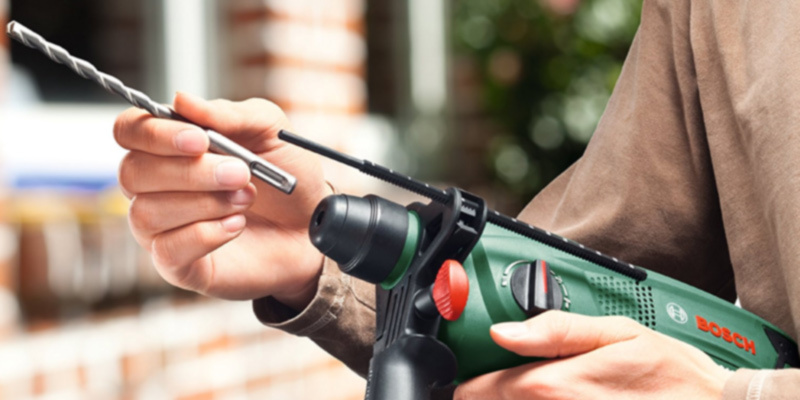 This portable battery-powered hammer drill looks rather stylish and is convenient to use. There is a rubberized handle that ensures a firm grip and full control of the tool. The keyless chuck provides a quick changing of bits and no auxiliary tools are required. By the way, removing and installing the battery is effortless! Black & Decker is a famous company that manufactures a variety of high-quality electrical tools for home and garden. The company was founded in 1910 by two young entrepreneurs - Duncan Black and Alonzo Decker. However, it all began with a totally different project - a machine that made the lids for milk bottles. However, in 1917 Black & Decker started producing a portable drill for home use and it was an immense success for the company. Black & Decker built a new factory and in 1922 opened its first foreign branch, in Canada. Three years later, Black & Decker stepped into the European market and opened three branches in Europe. During the WWII, the company, like many others, had to produce weapons but continued manufacturing tools and appliances. 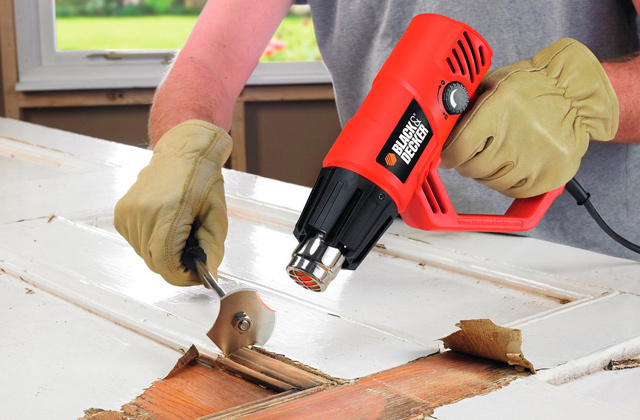 Today, Black & Decker is committed to a constant development, launching new products, and conquering new markets. Don't forget to get an additional set of bits for this hammer drill. The Bosch PBH 2100 RE hammer drill is a truly multifunctional construction tool that can cope with any task: drilling in concrete, wood, metal, stone. Moreover, this rotary hammer is perfect for driving screws during the assembly of some furniture. 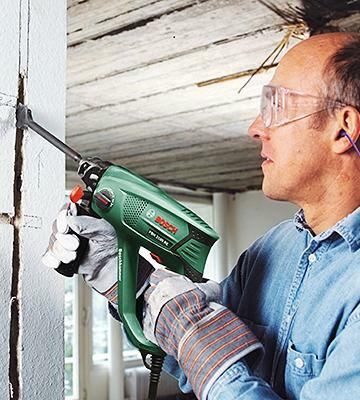 Unlike many other rotary hammers, the PBH 2100 RE has a powerful pneumatic mechanism. The impact energy doesn't depend on how hard a user is pushing on the hammer. When the mechanism is off, the tool works as a conventional drill. Without a rotary motion, the model turns into a real chisel hammer. 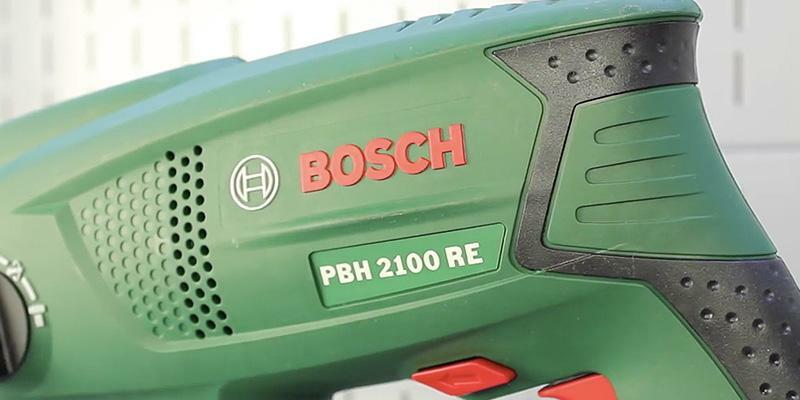 Needless to mention, there is a rotary hammer mode, which means the Bosch PBH 2100 RE will both drill and chisel simultaneously. It's very comfortable to adjust the rotation speed thanks to the Bosch Electronic trigger. Also, the model boasts the Vario-Lock positioning system - it provides 36 different positions of a chisel for the most efficient action. 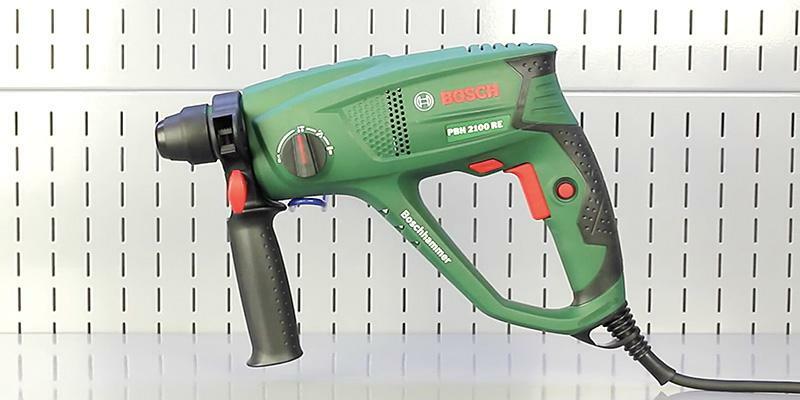 Like other best hammer drills on the market, this Bosch tool has an impact stop that switches the hammer mechanism off when the tool is used for drilling steel or wood as well as for screw driving. For improved reliability, this rotary hammer has a really effective dust removal system that prevents any dirt from getting inside the tool. We would also like to draw your attention to a smaller (compared with the previous versions of Bosch hammer drills) weight of the PBH 2100 RE. Smaller weight, higher performance! 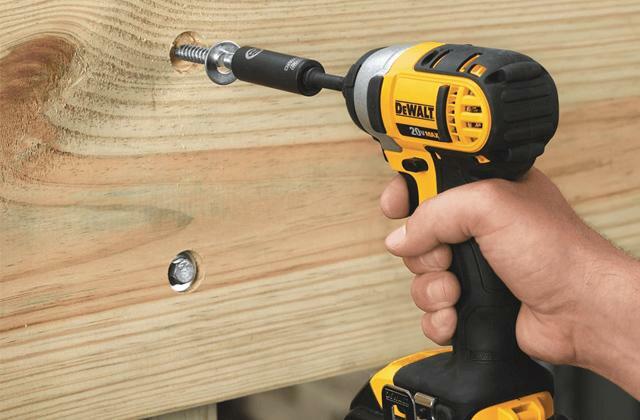 This fantastic hammer drill is convenient for both left- and right-handed people. Many large companies known to nearly any person in the world were founded as small workshops. Bosch is not an exception! 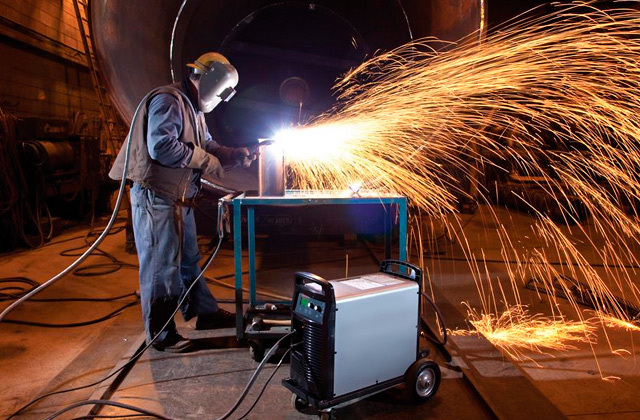 Today, this is one of the top-tier suppliers of various industrial equipment (from automotive components to construction tools). Bosch was founded in 1886 by Robert Bosch as a small workshop called Werkstätte für Feinmechanik und Elektrotechnik. 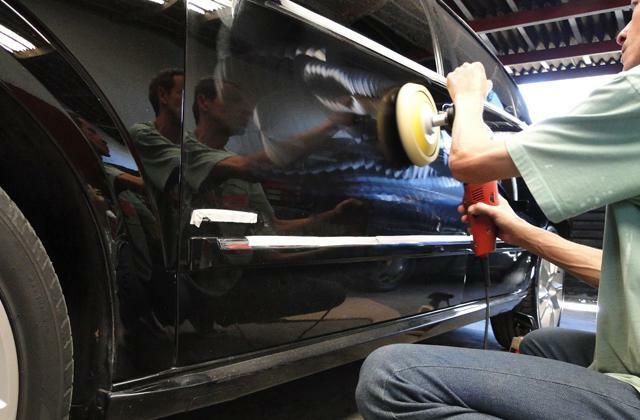 Nowadays, the company employs 375,000 people worldwide, though initially only a mechanic and an apprentice. Robert Bosch used the money inherited after his father's death to start up his business. At first, the company manufactured and sold electrical equipment. The business of Robert Bosch became really fruitful when the electrification of Stuttgart began; the company got a number of lucrative contracts for the supply of electrical equipment to the city. It was the dawn of Bosch's present-day industrial and technological empire. Choose a useful Bosch drill bit set and be ready to cope with any construction task. 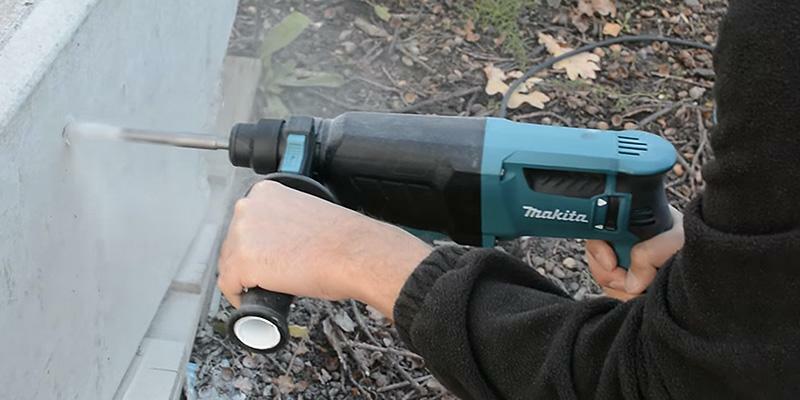 The HR2630 model is a high-quality tool manufactured by Makita. The engineers considered every single detail from design to functionality. The handle and the gear case are covered with soft rubber pads. As a result, the tool provides a firm and convenient grip. 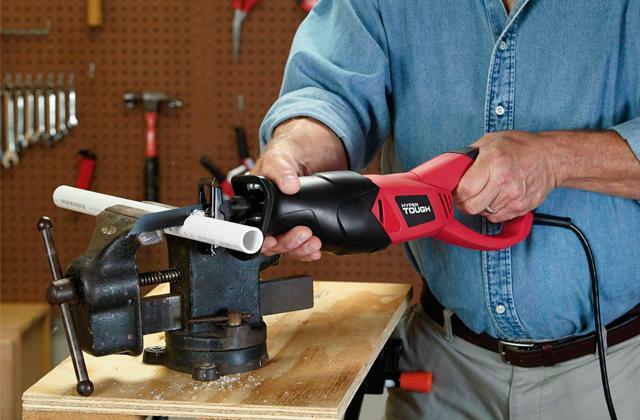 Of course, the tool comes with an auxiliary side grip with a depth stop. Thanks to all these convenience features, the hammer drill is easy-to-control during the usage and your arms don't get tired too fast. This Makita rotary hammer has 3 operating modes: rotation only, hammering only, and rotation with hammering. The mode switch is placed quite unusually - right on the bottom of the gear case. However, switching between the modes is easy enough so you have nothing to worry about. The rotation speed is variable and depends on the force you push the trigger with. Needless to say, this best hammer drill has a reverse mode (which means the beat can be rotated either clockwise or counterclockwise). 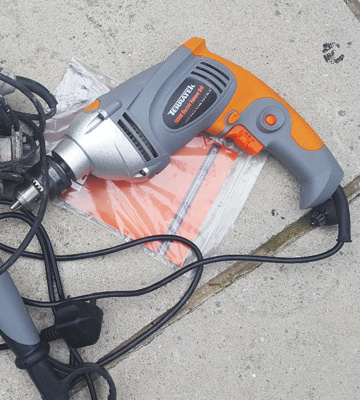 Even a brief look at this hammer drill is enough to notice how versatile the tool is. For example, there are as many as 40 various bit angle settings. Also, the tool has a trigger lock that allows you not to keep the trigger pushed all the time and the rotary hammer will be drilling a hole at a certain speed. 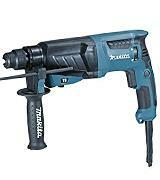 The Makita hammer drill features a torque limiter that switches the tool off once the bit gets jammed. It increases durability of electric motor so the tool will serve you for years! Also, the rotary hammer is designed to make its maintenance as simple as possible, so read the manual carefully and you will never face any problems while using this tool. 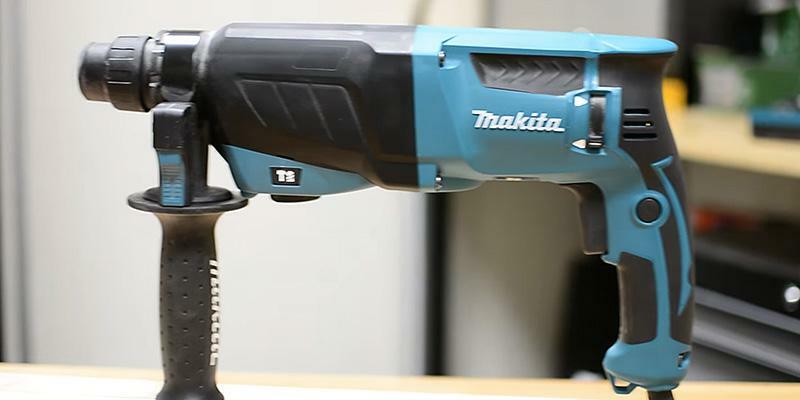 Makita is a Japanese company that is one of the most renowned manufacturers of professional-grade electrical and gas-powered tools. It was founded more than a century ago, in 1915, in Nagoya when Masaburo Makita and his three friends started up a company producing electric motors and generators. Initially, they repaired transformers and lighting equipment. 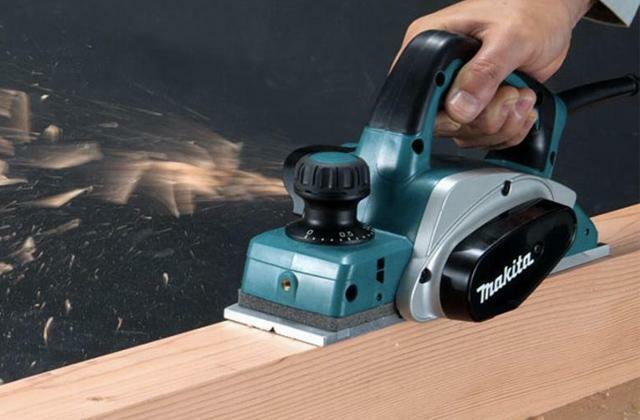 In 1958, Makita released the first electrical planer in the world and it was the company's first self-developed tool. 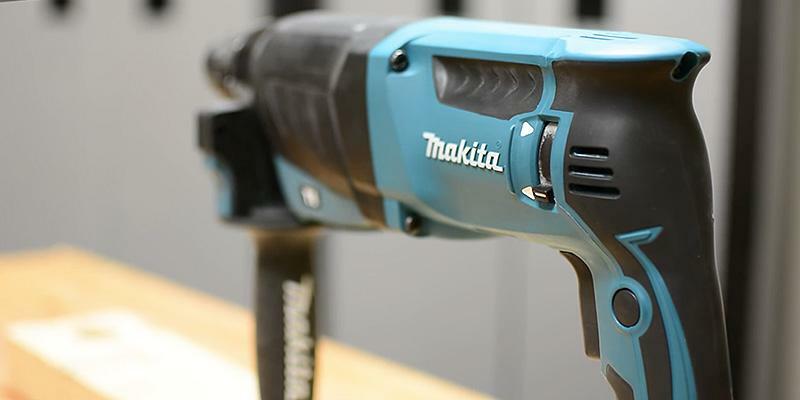 Today, Makita is one of the top-tier producers of construction tools. With the advancements in the world of technologies, living in a modern household, be it a sizable house or a compact apartment, is a better experience that it has ever been. Of course, one of the first things that come to mind would be the developments in the digital world. Smartphones, laptops, home theater projectors, flat screen TVs and even smartwatches all made improvements in providing some freedom of choice in terms of entertainment and functionality to our mundane everyday lives. And although innovations in the field of the household essentials that have either nothing or very little to do with entertainment aren't as prevalent or noticeable, some of them are still very useful or convenient while others are straight-up crucial and imperative. Over-the-door hanging shoe holders, shower curtains with rings, bulletin board or a white one - all of these things make your life just a little bit better by bringing some necessary comfort in it. Of course, all of this stuff needs to be fixed, installed, attached, and put together which is why a set of basic tools is an absolute necessity in any given household. 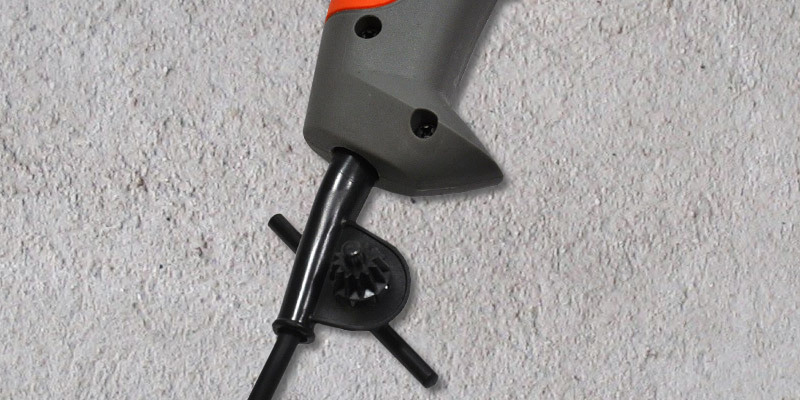 Now, you may think that a hammer drill isn't the kind of device that is absolutely indispensable, but that kind of decision is something you might come to regret next time you need to put a hole in your brick wall for a wall plug or an anchor bolt. So instead of learning from your own mistakes in the future, we would rather recommend you to purchase the Terratek TTRHD1500-2, a 1050W hammer drill that is going to prove itself an invaluable appliance tool sooner than later. The Terratek TTRHD1500-2, with its 31.4 x 27.4 x 8.8 centimeters of overall dimensions and 3 kilograms of weight, features a compact design that provides you with a sufficient amount of control and comfort required for handling the drill even in the tightest of spots. The hammer mechanism of the Terratek TTRHD1500-2 is capable of generating up to a ridiculous number of 48 thousand beats per minute. With this kind of performance, you can make sure that even brick and concrete won't be able to present much of a challenge. The drill is also able to reach the speed of up to 3000 rotations per minute, making it one of the most powerful options on the market at a very convenient price. With the kind of characteristics that we have featured earlier in this review, it comes as no surprise that the Terratek TTRHD1500-2 is capable of drilling through 10 millimetres of steel, 13 millimetres of brick, and more than 25 millimetres of wood. The 13-millimetre keyed chuck constructed of the highest quality materials is there in order to provide some additional comfort to the owner of the device. Forget about powerful vibrations leading to potential drilling errors, as well as having too much pressure put on your wrists and arms. 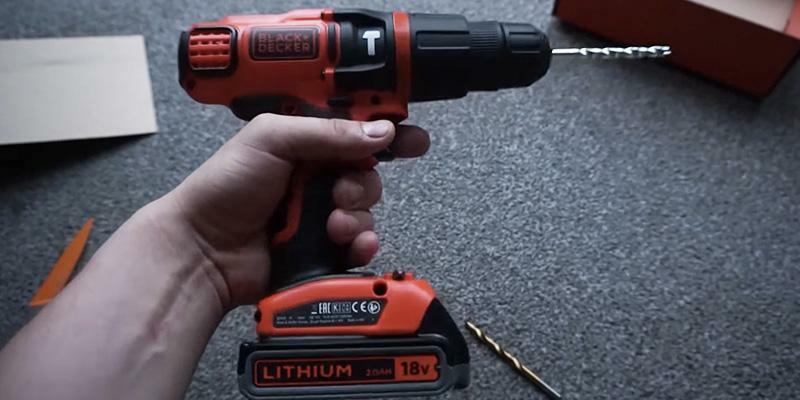 Although some users have reported having troubles with short bursts of power during speed changes and issues with a lock that would occasionally prevent the device from spinning, given the kind of power and durability this model provides we can wholeheartedly recommend it to anyone looking for a nice addition to his set of the most necessary appliance tools. A hammer drills is a multifunctional tool that helps us bore holes even in the firmest walls made of concrete and bricks. Also, hammer drills can make holes in other materials - wood, metal, and so on. 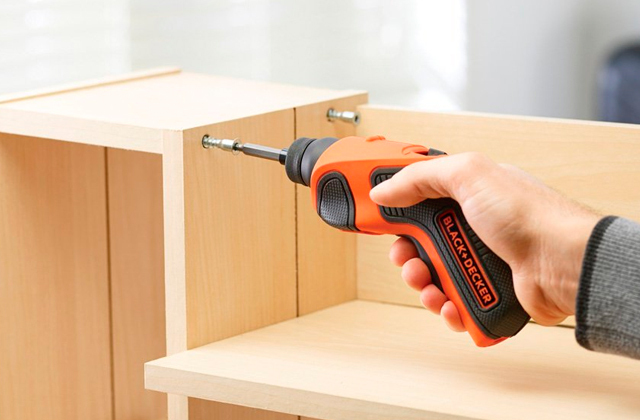 You can use these appliances to drill holes for screws or getting screws out of walls. Unlike conventional rotary drills, hammer drills also add a hammering action. That's why they are far superior to rotary drills in their drilling capabilities. You certainly need this tool at a construction site or for using it at home if you're a true handyman. In case you don't need to bore concrete but prefer a compact and handy drill - look at our comparison of 5 best cordless drills. If you need a tool for accurate repairs, choose one of the impact wrenches from our review. The first thing to consider when choosing a hammer drill is the power of its motor - a true heart of the tool. 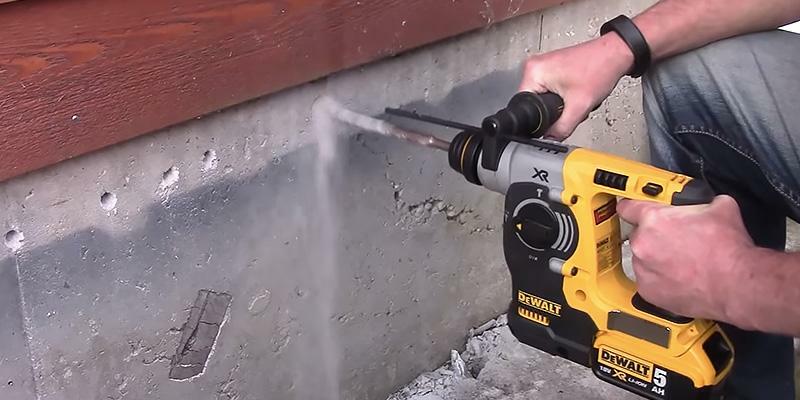 It’s important because the overall performance depends on it: how efficient the hammer drill will be in drilling concrete or bricks as wells as wood or metal. A sufficient power and a high rotation speed of the motor ensure a convenient use of the tool. 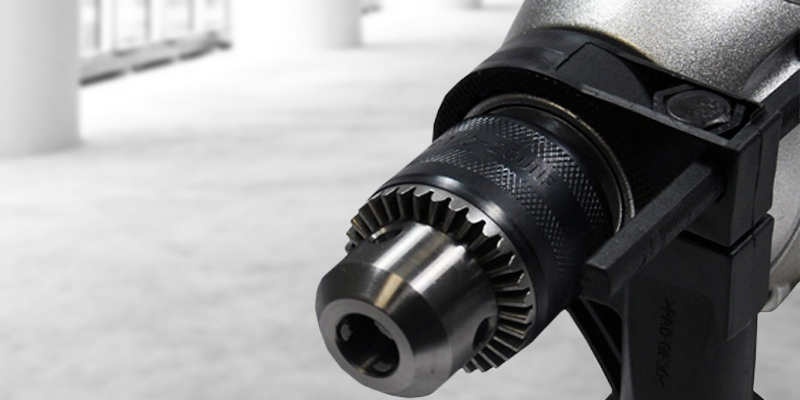 Some drills have the maximal rotation speed of up to 3500 RPM. Also, the efficiency of hammering depends on the impact power (measured in joules or sometimes ft-lbs) - the higher it is, the better the bit will be drilling the wall. Finally, don't forget to check the beat frequency (measured in beats per minute). Also, make sure to check the maximal diameter of the bit you can use in the chuck of a drill because the size of the hole you will be able to make depends on it. Keep in mind that the material you are going to deal with is really important. Of course, most people want to know the diameter of a hole in a brick or concrete wall but you should also check the performance in wood, plastic, metal, etc. If you are a construction worker, you will need to use a hammer drill for many hours and, no wonder, a tool has to be convenient. So, you need to check if a tool isn’t too heavy and whether it has rubberized handles that reduce vibrations so that your arms don’t get tired too fast. You will be able to find the best position for drilling if a handle is adjustable (which means you can adjust it to any angle you like). Don't forget to check the chuck type of a hammer drill. There are 2 major types of chuck in production: keyed and keyless, which means you either need a key to change and adjust a bit, or you can do it without any additional tools. For example, if a hammer drill boasts the SDS-Plus or SDS-Max bit system, you will be able to change bits in no time. A hammer drill is a tool for really difficult construction works and that’s why it can break down. A broken hammer drill, in its turn, is very dangerous for a person who's using it. That’s why a good hammer drill must have safety systems. For example, if a bit gets jammed, a special overload protection system will stop the tool and, therefore, prevent a damage to the torque converter and motor. Also, there’s a dust collection system that prevents the hammer drill from clogging. The best tools even have a special indicator that informs you about wear or clogging so you know when you need to repair a drill. 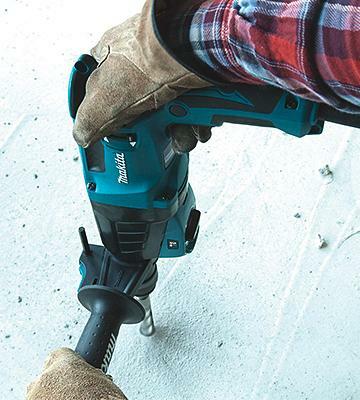 Take a look at the extra features of a hammer drill. For example, if you need to drill a lot, you should be able to lock the trigger in order not to keep it pushed with your index finger all the time. Also, make sure to check if a tool has a reverse mode - it will help you unjam a bit or pull a screw out of a wall. Another important issue is the cord length - if it’s too short, you will need to use an extension cord. The optimal cord length is ~4 meters. 1. A Buying Guide for Hammer Drills, eBay. June 10, 2016. 2. Drilling into Concrete Tools: Rotary Hammers and Hammer Drills, The Family Handyman. 3. Buying Guide for Hammer Drills/Rotary Hammers, Lowe's. 4. DRILLS BUYING GUIDE, B&Q. 5. 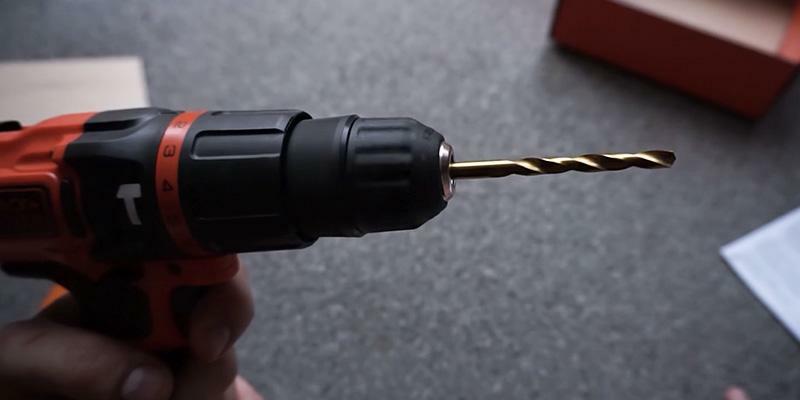 How To Choose The Right Drill, Masters Home Improvement. 6. Choosing the best rotary hammer to fit your needs, Bosch. 7. How to buy the best drill, Which? 8. 3 Best Uses for a Rotary Hammer, DoItYourself. 9. Richard Hughes What is an SDS Drill? ITS. July 3, 2013.